‏Muskie and Pike, Pike and Muskie. They both have several things in common. 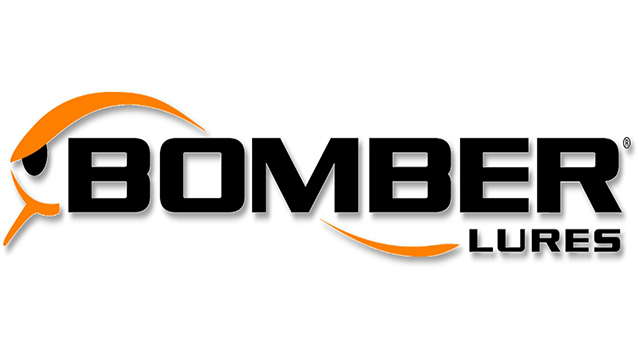 Being part of the same ”Esox” family and swimming in freshwater, they are every fisherman’s dream. Both can reach enourmous lenghts, weight and have markings on their bodies that can be the most beautiful you’ve ever seen. Apart from all of this, they are both mysterious fish who drive the angler mad at times when nothing else seems to work. 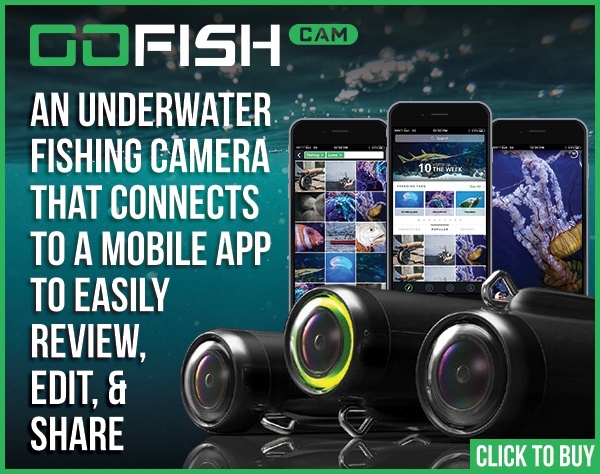 Finding the right solution to catch them is key at some points, and someone who has mastered this into perfection is Joe Bucher. His famous book ”Crankbait Secrets” found it’s way onto the shelfs of many anglers around the world and contains everything you’ve always wanted to know about how to target these mysterious fish. It’s full of great information, but inside is something that you won’t find anywhere else. And that’s night fishing for Muskie. Joe was in fact one of the first anglers ever to discover this, so what better way to ask him all about the comparence of Muskie vs Pike fishing at night! ‏Q: Hi Joe! First of all welcome to EsoxOnly.com. I’ve been a fan of your book and baits ever since childhood so it’s a great honor for me to do an interview with you for the site. 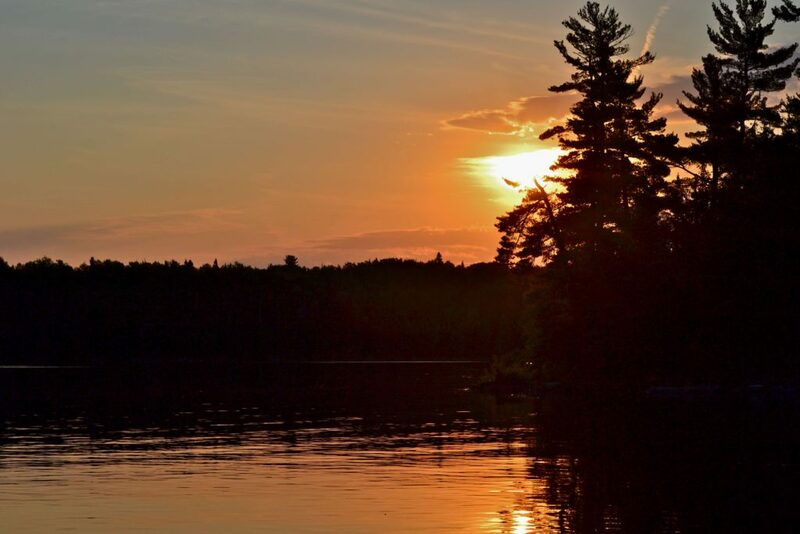 Perhaps you could tell us a little bit more how you ran across this pattern of night fishing for Muskie in the first place? ‏A: When I was still guiding full time, my summer excursions were evening trips that ended at dusk. More often than not, we would start getting our 1st action right at the very end. I started dragging the trips later into the 1st hour of darkness and low and behold – we started consistently scoring on doubles and triples in the dark. That lead to buying headlamps, and flood lights. I became obsessed with learning more and dialing in this whole thing. 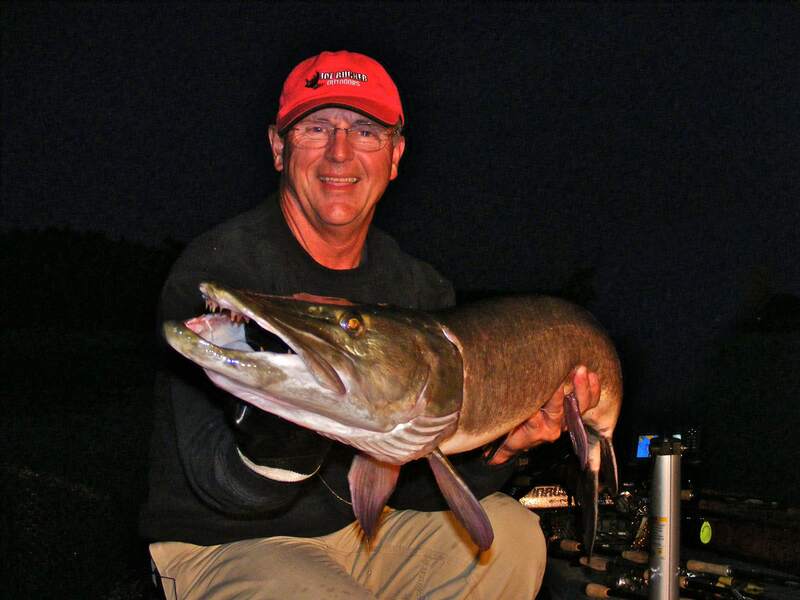 ‏Q: When night fishing for Muskie, have you experienced a specific size of fish grabbing your lure? Do you catch both big and small ones, or is it just the same as in the daylight hours, that the smaller sized fish are located in the weeds, and the bigger outside? ‏A: In general, Muskies tend to run bigger after dark. The biggest fish in the system are 100% active in darkness lacking caution so common during daylight hours. They have such an incredible advantage over prey in darkness. When these bigger more dominant fish are active, they push smaller ones off spots. ‏Q: When it comes to fishing for Pike, I found that the big ones patroll the open water, and come up to the edges when it get’s dark, to feed on forage of baitfish that find shelter for the night. How does that work at night? Do they move around alot, or can they be found in roughly the same area? ‏A: Same with Muskies. Big ones slip out over open water during daylight, and particularly when there is boat traffic and fishing pressure. They slip back up on structures after night fall. However, even big fish that are spotted in the shallows during daylight, are often cautious. This caution goes away after sunset. Joe and a Big Muskie from the dark! 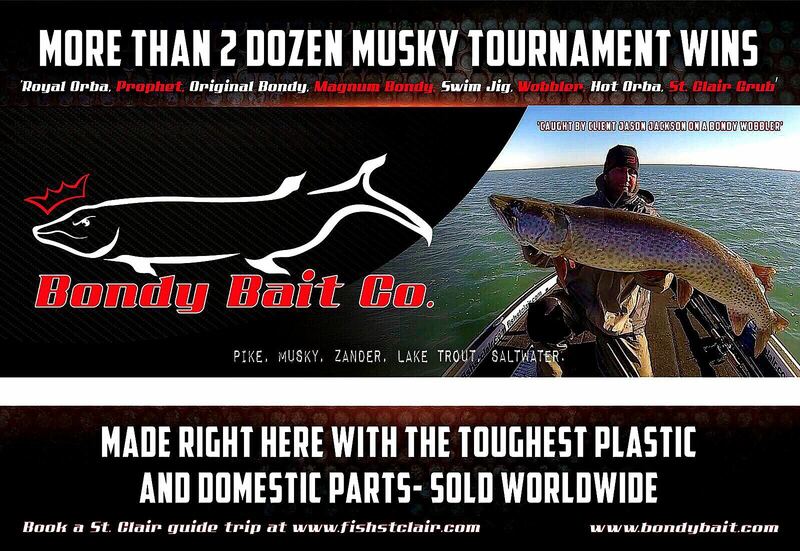 ‏Q: We all know that fishing for Esox, Muskie or Pike is a moonlight game. I’m interested what your point of view is on this matter. Do you stay at home when let’s say only 35% of the moon is out there to be seen, or will you just fish the periods between full moon and new moon? When fishing for Pike I found that only a couple of times fish were caught on a moonrise or moonset. How critical do you find this for your fishing? ‏A: My night fishing discoveries also lead to an entire research project on moon rise, moon set, moon up , moon down, full moon , new moon, etc. it lead to my monthly moon charts being published in various magazines. I discovered many things but most importantly, muskies really got active around moon rise and moon set no matter what time of day or month it occurred. This was most important. Muskies fed consistently during moon down, but very little to not at all during moon up. Moon up = bad. Moon down = good. ‏Q: Have you found that when a moonrise occured with let’s say eastern winds blowing through, or winds from the south, or perhaps even a coldfront, that it makes a big difference in your catching abilities? Or to be more specific, what kind of influence has this factor when there is a full moon or new moon. Does it really matter if the wind is good, how big the waves are or is it more a game of air pressure? ‏A: Moon up = good. Moon down = bad no matter what wind. But better wind direction and better overall fishing conditions just means more numbers. ‏Q: Now we’re talking about airpressure, I found that particulary in the last evening hours of daylight, a rise or a drop in pressure can put the fish on or off the feed. Do you keep a close eye to the barometer, when planning your nightly sessions on the water? And also if let’s say the air pressure is 1020 at 10pm, 1015 at 11pm (when daylight fades) and they feed at 1020, will you wait till it reaches that same number again at let’s say 3am for example? Do you trust the airpressure that much so you can plan and wait exactly when they will be feeding again during a night session? ‏A: What I have found is that sometimes the only fish you are likely to catch on a high pressure post frontal bluebird is on a drop in light and a moon rise or set. ‏Q: What kind of lure are your favourite in night fishing? Does size matter alot? Can imagine vibration is a key factor when it’s dark. 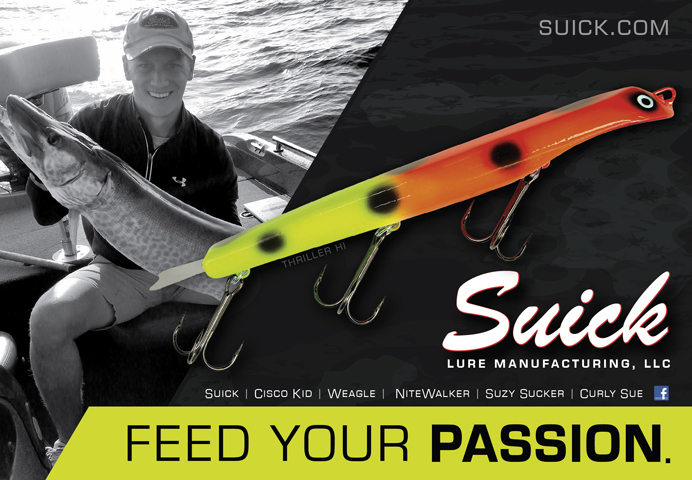 Do you have a personal preference for any action in a bait? And last but not least, how important are colours at night? Is it a game of contrast just like during the daylight hours? ‏A: Jointed DepthRaiders. Best lure by far but jointed ShallowRaiders too when fish are really shallow. Darker colors are generally better but honestly color is less important in darkness. Straight shaft in-line spinners like our larger Buchertail series are exceptional over weeds at night as well as over shallow weeds. ‏Q: As mentioned earlier, in Europe we don’t have Muskies, but it’s all about the Pike. I’ve found that they don’t feed as much in the small hours of daylight. Probably because they’re sight hunters (although they have a latteral scale). 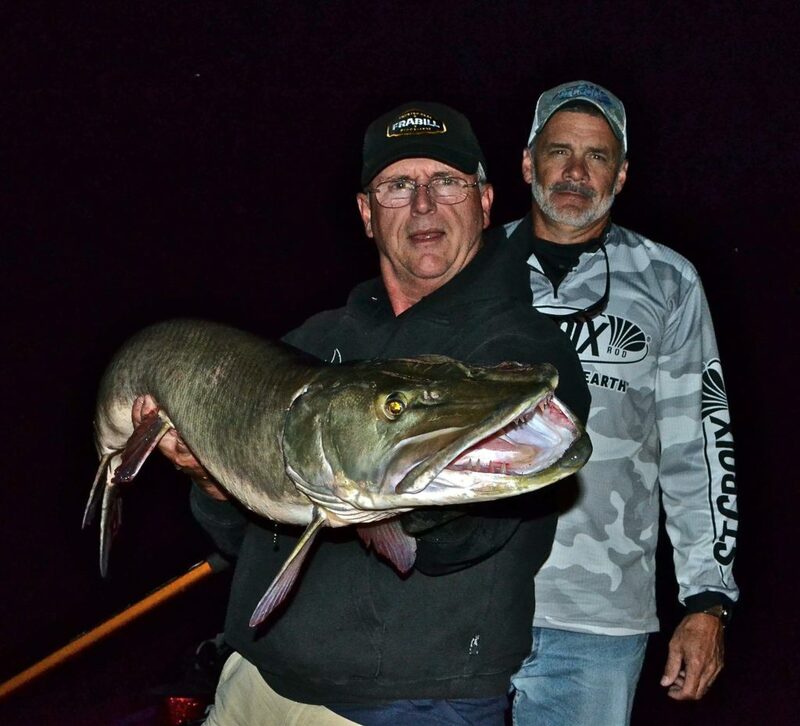 What do you think is the biggest difference between these two fish that Muskies continue to feed at night while Pike don’t? And have you ever caught a large northern while night fishing for Muskie? ‏A: Ive never caught Pike at night nor hybrid Muskies that generally bare some Pike genes. I think Muskies simply have better night vision. Thats the reason. 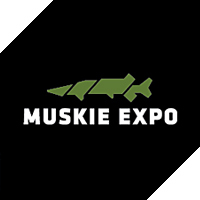 Muskies obviously can see well in darkness as well as dirty water. 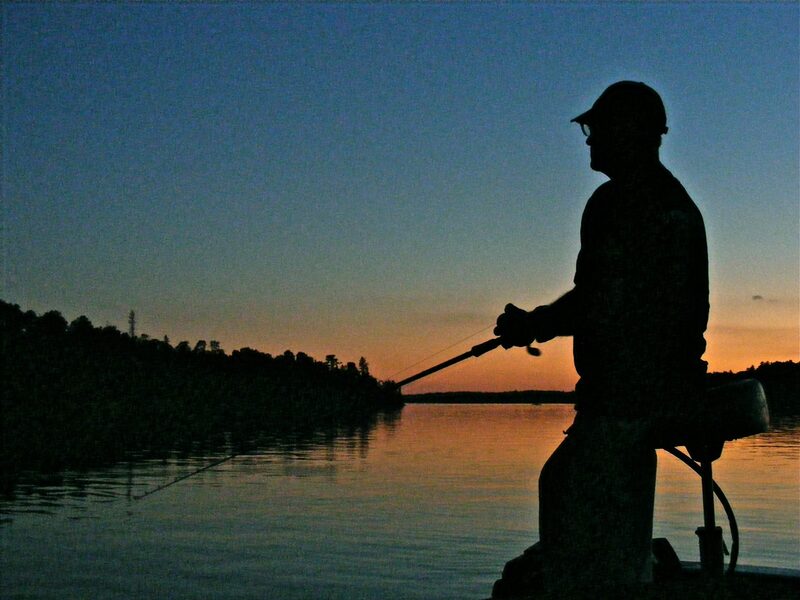 ‏Q: When fishing daylight hours, or night-time. Wich one of the two is your favourite? 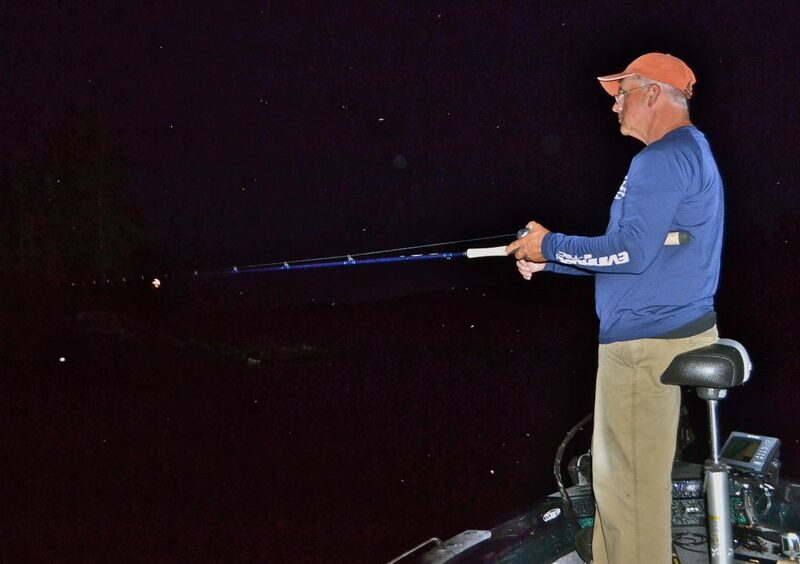 Did you caught more fish in the dark, or when it was light? And what is the biggest one? ‏A: No favorites. In fact, I would probably rather enjoy a good night’s sleep and catch em during daylight. So l guess I do enjoy fishing during daylight hours more, but one must adapt in order to be successful when day time action shuts down. I made a living in the 1980s and 90’s guiding after dark. Some days we would only catch one or two. Yet once in awhile, all heck would break loose and we’d catch em non-stop all night long. Best night was 21 Muskies. Best week was 49. Biggest after dark was 53.5. Biggest ever during daylight was 57″. 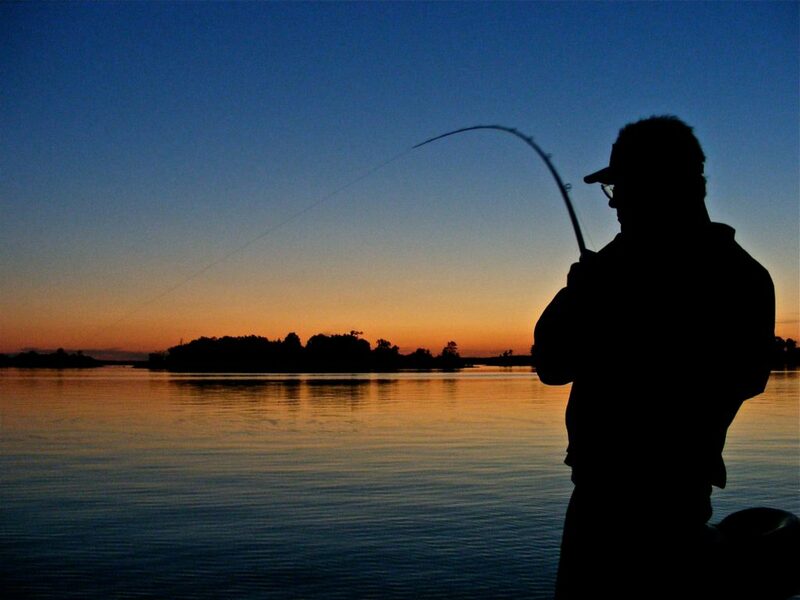 ‏Q: If people want to start night fishing after reading this article, what would you reccommend to them? Are there any key things to look out for going on the water, or perhaps from the bank? Do you fish alone at night, or always have someone with you for safety? What is the final advice you would give anyone starting out nightfishing? ‏A: Keep things simple. Think safety. One bait. Clean boat. If you fish from shore, keep it simple. Including picking only a few select spots. Learn the water well during daylight so, you know where boating hazards are. Joe with Rich Belanger from St. Croix. Safety first when it comes to fishing at night.